This post may contain affiliate links. All that means is if you purchase from one of these links we may receive a small commission at no extra cost to you. I think we can all agree that not all planners are alike. There are as many types of planners out there as there are personality types! And honestly, that’s a good thing. But how do we know which is the right planner for us without spending an arm and leg and regretting it later? Research of course! But don’t worry I’ve done most of the work for you so that you can choose the best planner for 2019! 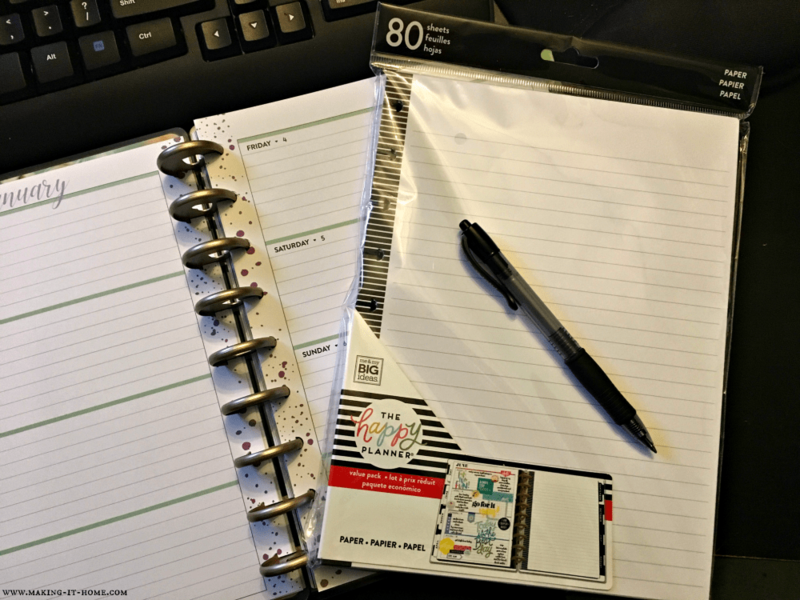 Why do you need a planner? Like most of us living in the modern world your day is filled with many tasks. 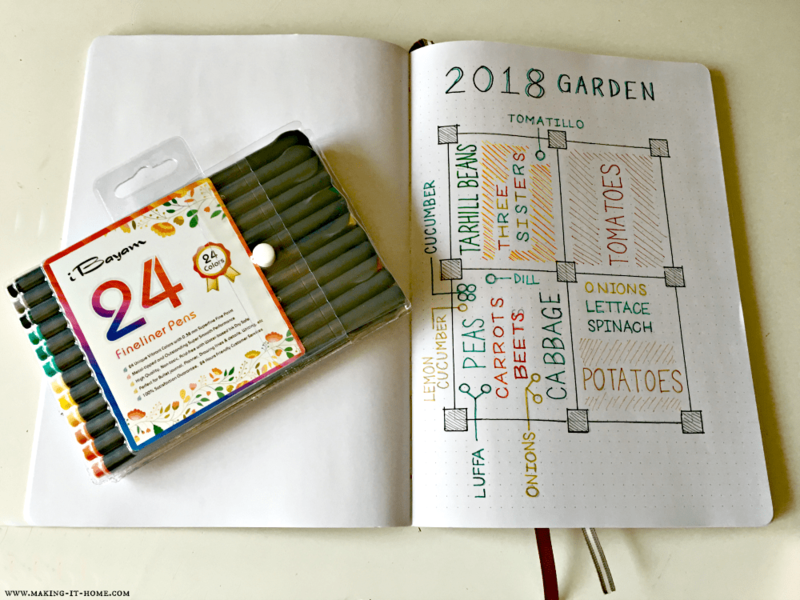 Keeping track of important appointments, bill due dates, steps to goals, or planning out your garden. And it’s so much easier to deal with if you can have them all in one place. A planner is the only way I seem to manage to remember everything at this point. My memory is not what it used to be. I’m sure many of you can relate. This is why a planner is such a great idea! What Should You Expect to Pay for a Planner? Here’s the deal, I’ve paid $50 for a planner and I’ve paid less than $15. But what a planner is worth is a matter of debate. Honestly, I think it’s worth is in what it helps you do and if you use it every day. I also think the value is determined by what type of features it has. Admittedly I once paid way too much for a planner that was little more than a pretty cover and a glorified notebook. I learned my lesson quick. You should absolutely never pay more than $60 for a planner in my opinion. Especially considering there are so many options out there. And honestly, you may not need a planner that costs that much depending on what features you need. And let’s be real until you use a planner at least 5 times a week for the entire year you should never pay more than $20! 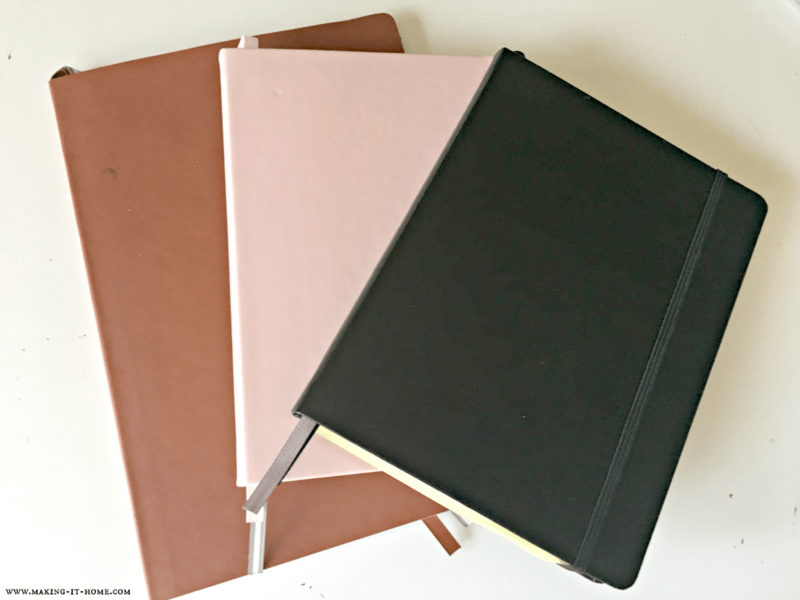 How Do You Choose the Best Planner for 2019? 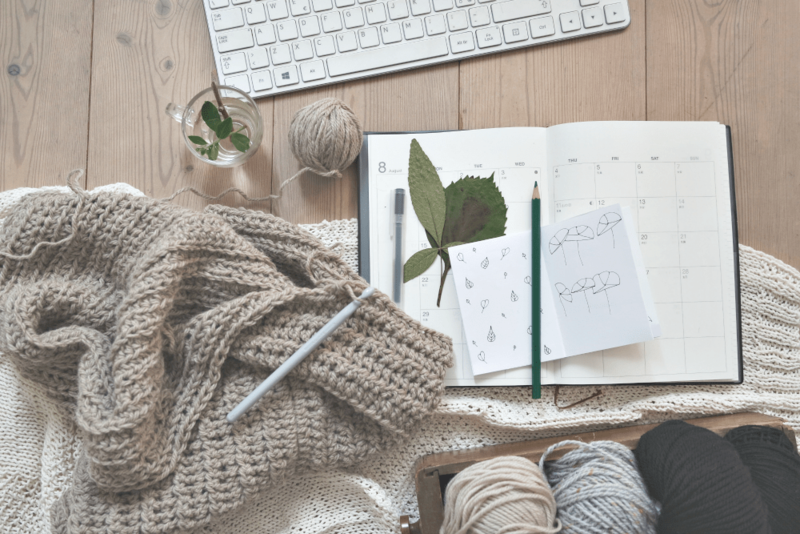 What do you need a planner to do for you? That is the first question you should be asking yourself. Is it just to keep track of appointments and important dates? Is it to plan goals? Are you needing one to manage your daily schedule? Or does it need to be specialized for running a business, managing a homestead, or like me for scheduling blog posts? Next, you need to think about how much you want to control the function of your planner. Do you need it to have just a yearly, monthly, and daily calendar? Should it have everything pre-formatted with places to fill in information? Or do you want to be able to design and customize the pages yourself for your specific needs? Once you answered these questions it’s time to see what planners are out there that might fit your needs. 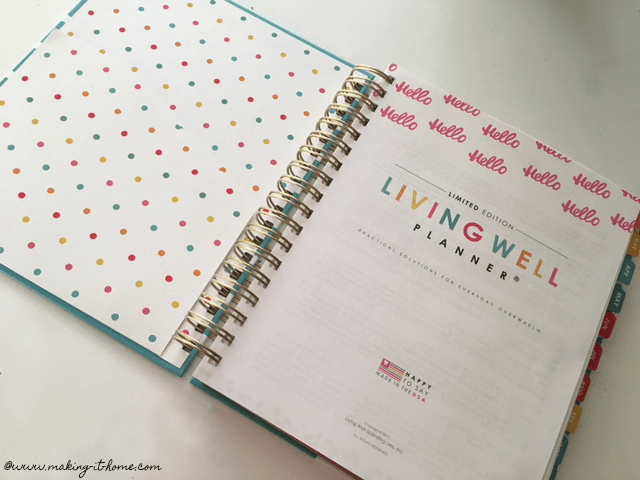 The Erin Condren Life Planner is a great choice for those who like to customize the look of their planner and manage many aspects of their home life. They also have a planner focused on the needs of teachers. It is on the higher end of the price scale. But is great for those really busy types or students. The options to make the LifePlanner unique to you are practically endless. Most of the covers you can use your own color choices. 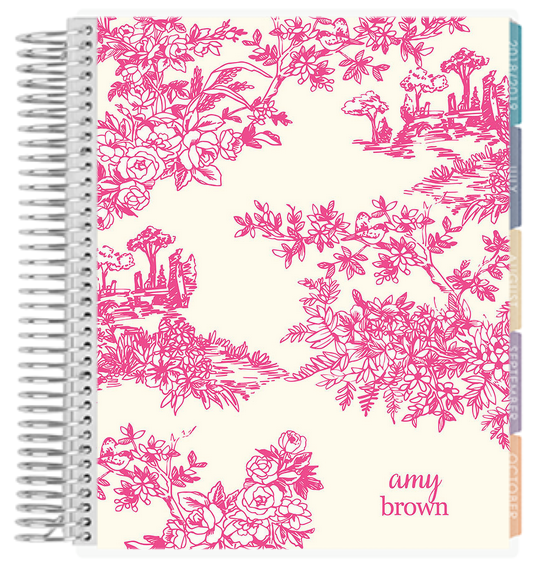 You can get your planner personalized. 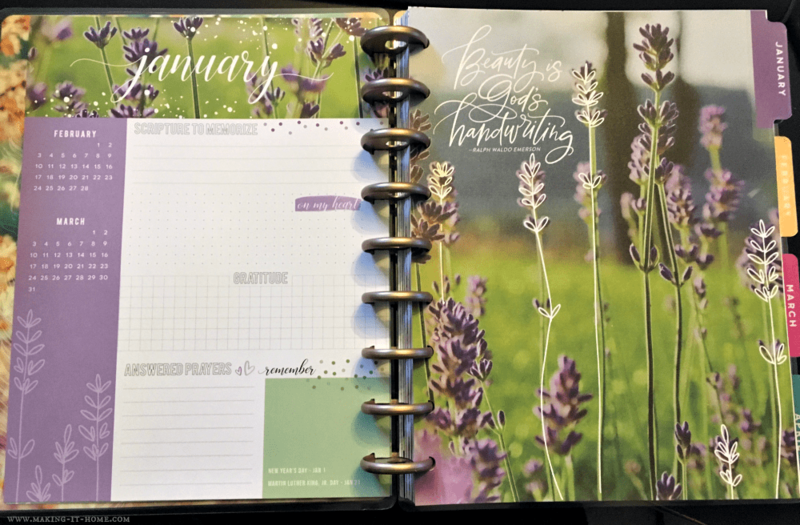 You can even choose the color of metal coil on your planner. 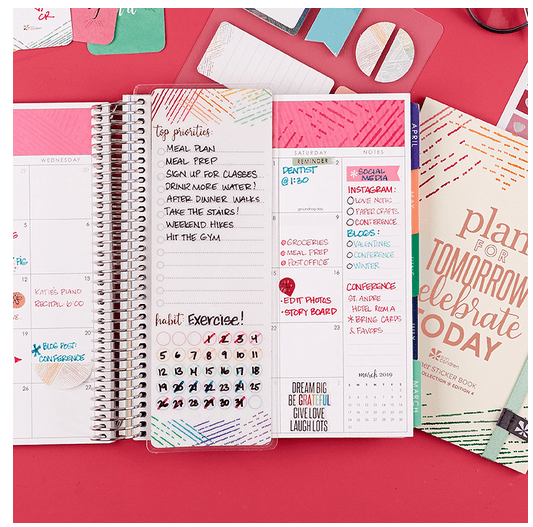 There are tons of different accessories available for your planner on the Erin Condren website as well. 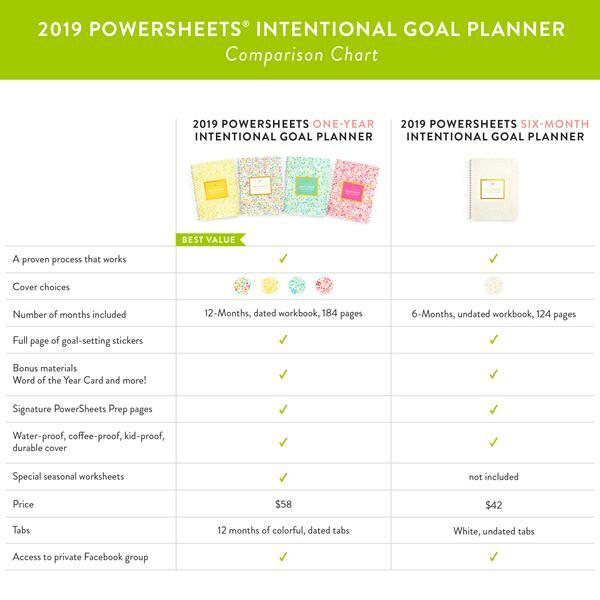 The Cultivate What Matters Planner is also known as the PowerSheets Intentional Goal Planner. As the name would indicate this is a planner for goal setters. 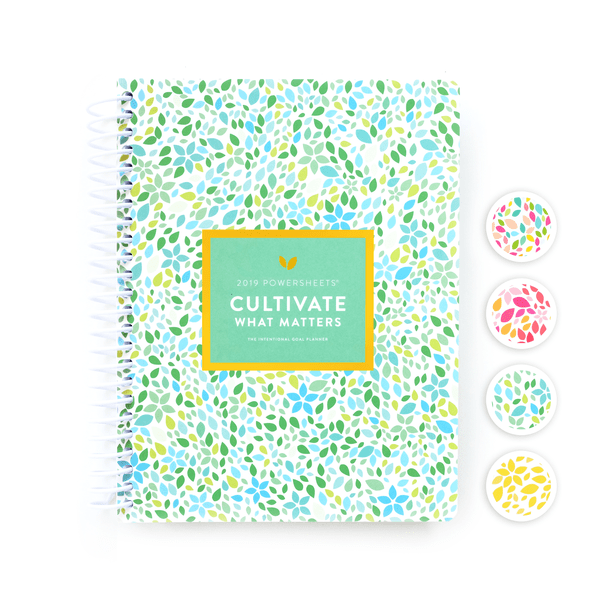 The Cultivate What Matters website is filled with many amazing products designed for goal setting. It is a whole system developed by Lara Casey, the company’s founder. This planner is not your traditional monthly planner it is entirely focused on the Cultivate What Matters goal planning system. If you like to be a little more unconventional and like to think outside the box, this might be the perfect planner for you. It also might be perfect for you if you have a very goal oriented lifestyle. The Happy Planner was the one I decided to go with this year. Mainly because you can get it very reasonably priced at Joann with a 50% off coupon! You can even order it online and pick it up in the store! I decided that it fit my needs better in that it was slightly less complicated than my last planner. The Happy Planner has an insane amount of planners to choose from! I got the scripture inspirational one. But they have planners focused on fitness, motivation, business, etc… They come in many different sizes too! Not to mention the tons of accessories you can get. I’d say this is an overall great buy if you’re not looking for anything too complicated and you want to stay under budget. The Living Well Planner by Ruth Soukup is a great planner for goal setters. 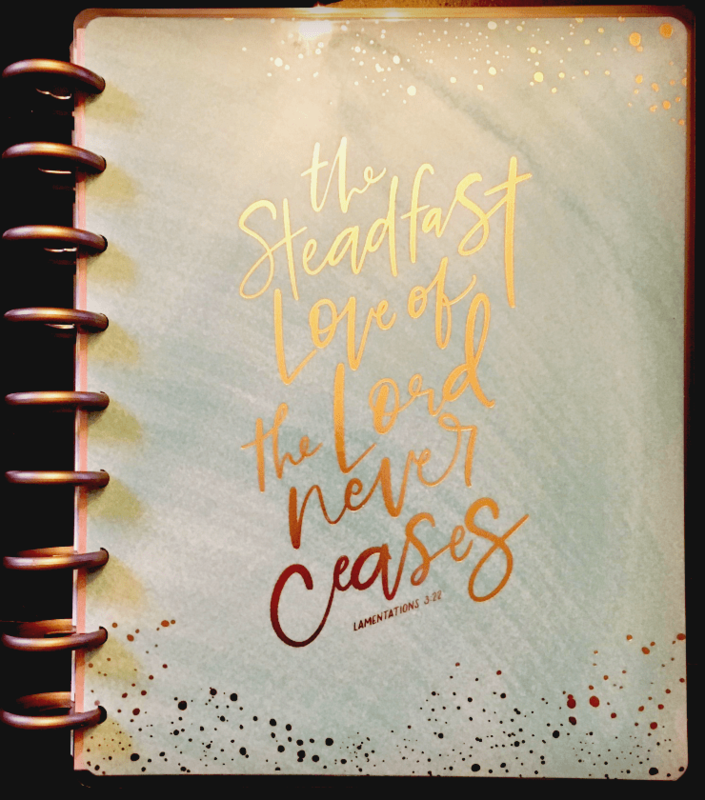 If you are looking to make 2019 the best year yet, this is the planner for you. I used this planner for 2018 and it really helped me stay on track for starting this blog. To be honest the reason I didn’t go with the Living Well Planner for next year is that I found I didn’t develop a habit of keeping up with all the goal planning sections. So I didn’t feel I could make it worth the cost for me. The Living Well Planner has a lot of great features for writing out your goals for the year, months, and weeks. 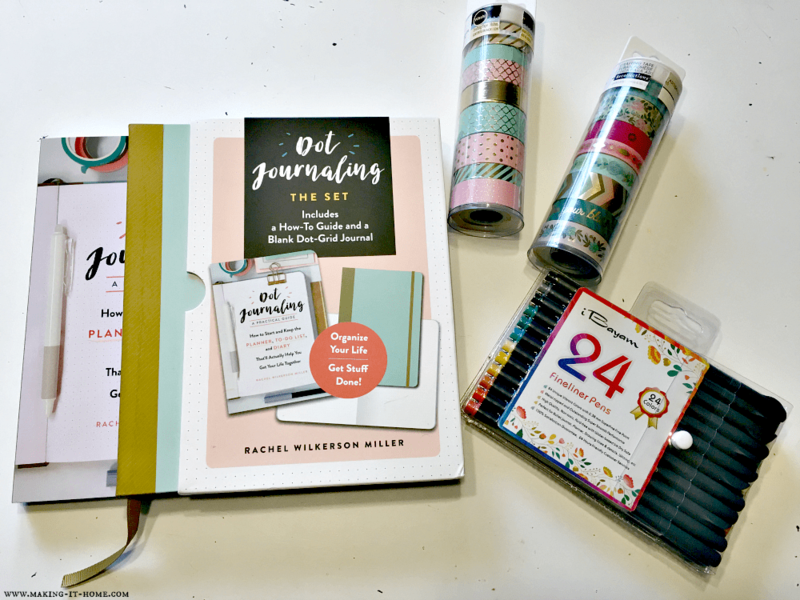 If you like something that is part journal, part planner, then this is the one for you. My favorite all-time feature of this planner is that you can start it at any time! Yes, it is a fill-in-the date type planner. 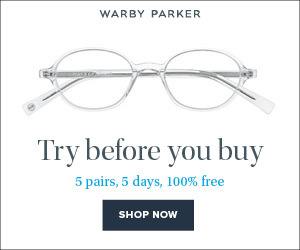 And right now you can get it at a great price for the holidays! Another great planner with a very simple layout, hence the name. 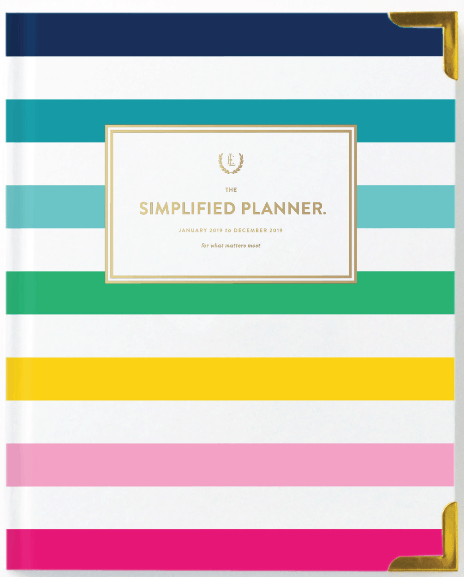 It’s for those of us who like nice clean planners without a lot of fuss. It’s a very sturdy planner with a book-style binding. It has note pages in the back, monthly simplicity tips, and comes with stickers. 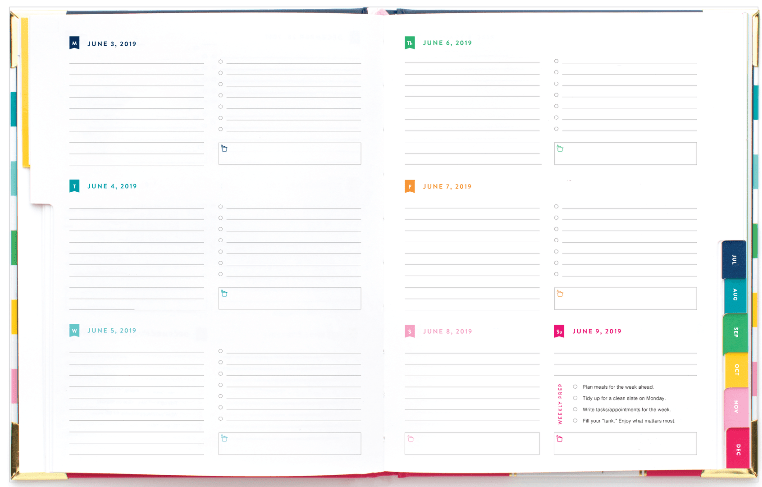 It’s a great planner for all you minimalists! Very classy! The bullet journal is the perfect option for those that can’t seem to find a planner that fits their exact needs. There are many options such as sizes, bullet type, grid size, and cover color. Price can vary from extremely cheap to around $20. The best thing about a bullet or dot journal is that they are completely customizable. I think a lot of guys like this option because most planners are marketed towards women. As you can see Aaron uses a bullet journal to keep track of things around the homestead. He also has one he uses for our home budget. Choose a Planner You Love! Whatever planner you decide to go with, make sure you absolutely love it. Because let’s be real if you don’t love it are you actually going to use it? Like I said earlier I wasted $35 on a planner I didn’t love and dang it if it isn’t still sitting on my bookshelf, empty, gathering dust. Thanks for putting this together! I can’t decide if I need a planner or just to continue with printing out weekly planning pages. I loved getting the look inside the planners!